Used 2013 Jeep Grand Cherokee 4WD 4dr Overland for Sale in Denver CO 80204 Super Auto Company, Inc. 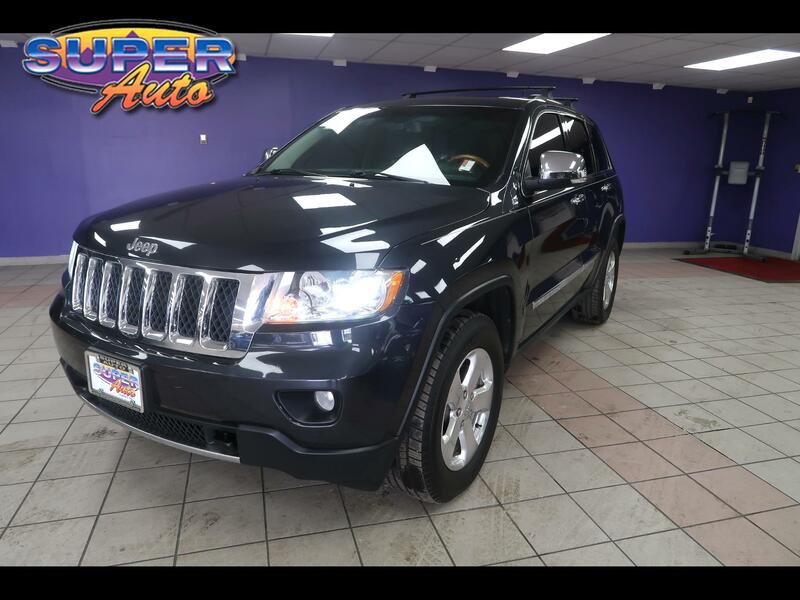 Features: **BLUETOOTH**, **NAVIGATION**, **BACKUP CAMERA**, **MOONROOF**, **CARFAX GUARANTEED**, **TOW PACKAGE**, **LEATHER HEATED SEATS**, **TINTED WINDOWS**, 5.7L V8 Multi Displacement VVT, 4WD. We have been in business for 26 years and for over 20 years and are an A+ Rated Company by the Better Business Bureau!! Know who you are dealing with!! Come to www.superautocompany.com to See Our Specials!!! Call Us at 303-436-9559 so we can answer any questions you may have. Hemos estado en el negocio durante 26 an~os y durante ma´s de 20 an~os hemos sido A + Rated Company por el Better Business Bureau !! ¡Sepa con quie´n esta´ tratando! ¡Ven a www.superautocompany.com para ver nuestros especiales! Lla´menos al 303-436-9559 para que podamos responder cualquier pregunta que pueda tener. Message: Thought you might be interested in this 2013 Jeep Grand Cherokee.